This is an exciting time to be in the accounting profession – we are at a turning point, and the profession is recognizing that just counting beans is not going to get us into the next century (or even the next decade). We need to change our role and relationships with our clients, and we need to be proactive about investing in developing technologies that will allow us to do so. 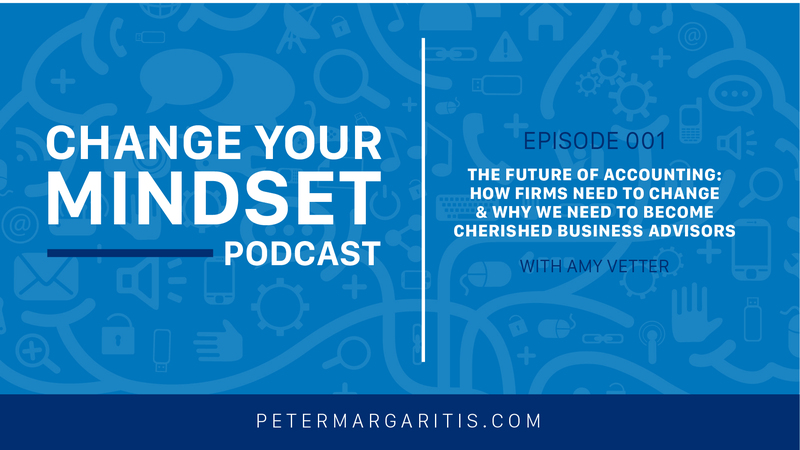 That’s why I sat down to talk with Amy Vetter, a key influencer in the accounting industry and an accomplished tech executive, entrepreneur, and keynote speaker. Amy is the author of Integrative Advisory Services: Expanding Your Accounting Services Beyond the Cloud, the CPA and accounting professions’ guide to the future of delivering advisory services to their clients. I’ve been dying to interview Amy since I saw her speak at the 2018 National CPE Educators Conference in New Orleans. She was the kick-off keynote speaker of this conference, and let me just sum her presentation up: She knocked us over! Amy just understands what the profession needs going forward, and on top of that, she has a knack for explaining what the profession needs going forward – and that’s why her book is so valuable. Integrative Advisory Services is a toolbox that any firm can pick up (and should) if they want to begin thinking differently. It’s an effective (and surprisingly interesting) accounting book because there are a lot of stories; real life experiences that relate to how we can help clients, the challenges that the profession is facing with technology, and what we can do about it. One of the key ideas in the book is that we need to evolve our relationship with our clients. We need to become CHERISHED Business Advisors – not trusted. We’ve been talking about being the ‘trusted business advisor’ in the profession for a long time, but if you look up the definition of trusted, it means you’re being honest and sincere. What you want to strive for is being cherished – when clients can’t imagine not having you as part of their business because you are providing so much value. Money isn’t an issue because you’re an integral part of their business. Peter: [00:00:00] Welcome to Episode 1, and my guest today is Amy Vetter, who’s a CPA and a certified information technology professional, and a certified Global Management Accountant. Amy is a key influence in the accounting industry, and an accomplished tech executive, entrepreneur, and keynote speaker. Amy is the author of two books, the first titled “Business, Balance, and Bliss: How the B3 method can transform your career and life.” Amy presented the popular TEDxTalk: “Disconnect to Connect: The path to work-life harmony.” Amy’s second book, “Integrative Advisory Services: Expanding your accounting services beyond the cloud” is the CPA and accounting professions’ guide to the future of delivering advisory services to their clients. And this is the focus of our discussion in this episode. Amy has been recognized as a top 100 most influential person by accounting today, and one of the most powerful women in accounting by CPA practice advisor. She regularly contributes her insights to Entrepreneur, Inc., CPA Practice Advisor, and Accounting Today. And you can follow her on Twitter @AmyVetterCPA. So without further ado, let’s get to the interview with Amy Vetter. Hey everybody. I’m welcoming my new guest. I’ve been dying to interview her. Amy Vetter. And just so you know, I attended the 2018 national CPE Educator’s Conference in New Orleans and Amy was kick off keynote speaker of this conference. And let me just sum it up: She knocked them over. I mean it was it was a great presentation. And we’re going to talk a lot about that because it’s tied into her book: “Integrative Advisory Services: Expanding your accounting services beyond the cloud,” and for those of you who are watching this on YouTube, I just put book up so you can see. If you’re listening, please also watch it on YouTube. Amy, thank you for taking time out of your very busy schedule to spend some time with me today. Amy: [00:02:07] Thanks for having me on. Peter: [00:02:08] I’ve been looking forward to this and I appreciate you sending me a copy of the book because I read it and I really really enjoyed it. It’s a toolbox. It’s– every firm should pick up this book and read it and begin to think differently. Amy: [00:02:25] Well thank you. Most people don’t say I just enjoyed every minute of an accounting book. So that’s a big deal. Peter: [00:02:35] Well let’s let’s let’s let let’s straight– now it’s not a debits and credits– it’s not a Kieso and Weygandt 55th edition of intermediate accounting. And I’ll just start off by say the reason why I liked it is because you use a lot of stories in here. Peter: [00:02:54] And real life stuff and how you help and the challenges that the profession is facing, with technology, and what we can do. And you tie in family members. And I thought it was– That’s why I think it’s a fabulous accounting book. Amy: [00:03:10] Thank you very much. I tried. You know like you said I have a long history in the accounting profession, studying from my grandfather, as I talked talk about in the book. But also having my own practice, and really when I started my practice it wasn’t cool to have this type of practice. I definitely, as a CPA, was– other CPAs were like what are you doing? And I you know started in an audit. That was my background. When I started my practice, and this is really before technology was anywhere near where it is today, I didn’t want to do audit or tax as a sole practitioner because I was worried about the liability. Amy: [00:03:56] So I started really by accident along the way in this type of practice – because originally I thought well I’ll do a bookkeeping business. And what became interesting was the calls that I got in were different than what I expected. And it was business owners asking me to help them do their books. You know where they had questions and they still wanted to be in control of it. And it was definitely in the beginnings times of QuickBooks desktop, and you know that really… I started moving more into controllership and advisory services, and when they need a bookkeepers, bringing bookkeepers. But that’s– you know your business kind of changes based on who calls you. Over time, I just kept searching out technology – what would make it easier, what would make this easier – And was definitely on some of the first hosting software ever. And those came out and file sharing. And then over time, this has really become a pretty big passion for me to really stay ahead of where technology is to help the accounting profession, as a whole, evolve and be able to deliver the type of customer service our clients need so badly. Peter: [00:05:15] Exactly. I just get mesmerized because we speak the same language. What made you chose the firm and turn your business model now into the author, a speaker, a keynoted person? Amy: [00:05:32] I was always a speaker. So I mean I think I look back… even in college, I was like a teaching assistant and I just loved the education. I was an adjunct professor. I’m actually going back to that a little bit as well at University of Cincinnati. Peter: [00:05:50] Oh. Go Bearcats. Amy: [00:05:51] Yeah. So however when I started my business, growing up in an entrepreneurial family, I had started my experience in accounting with all the Fortune 500 companies. Being an auditor, working for KPMG, and then through internal audit you know at Fortune 500, and hadn’t really worked in the small business space since I had been young. When I opened up my own practice, I remembered how much I wanted to help small business owners because they don’t have the tools that a big company has, or the expertise. And so I started this… you know really getting gratification, going one by one to a client and helping. But what I started finding is I was getting asked to speak or do workshops, and when I could see that I spoke to accountants, I could actually help thousands of small businesses at a time because each accountant represents all their small business clients, and really that one to many… even if it’s just one account in the room where you turn the light bulb on, you can affect so many small business lives. So that really took my passion and a whole nother direction. I ended up selling my business in 2010 and I’ve been working at technology companies, being a speaker for technology companies, but also it’s just my passion to really– this is just such an exciting time in the accounting profession because it’s all coming together in this moment, where people are actually opening their eyes to what we can be and how we can help. And it’s just exciting to be a part of that as a speaker and author this time. Peter: [00:07:43] Yeah it is it’s it’s amazing how the profession is recognizing that just counting beans is not going to get them into this next century, into this next you know 10, 15 years. It’s you know I remember when I was trying to do– we called them soft skills, but I tell them don’t you think you’re pretty hard to master? Peter: [00:08:03] Do this type of programming and I was always a push back. You know we need it but I’m not going to invest into it. Most of my business early on was you know basically teachin accounting because I taught accounting at Ohio Dominican and doing all of that. But then over the last four to five years, I don’t teach any technical accounting any more. It’s all this all this based around the concept of improvisation is a communication tool. And I see light bulbs go off and these ideas. And this is where we need to– I see that excitement out there. The ones who I don’t see the excitement with, they’re ready to retire. And really they should retire and turn it over to somebody who can take the firm into this next iteration of accounting. Amy: [00:08:50] Yeah and I would agree. And I think improv is a great way to coin the term, just because that’s what advisory services is. You can’t plan for the question right. You have to be OK with the answer of I don’t know. I’ll go look for that. For you. You don’t have to be an expert on the fly. But you know clients appreciate that, as far as customer service. I would say, with the succession planning issue, I totally agree. There are definitely partners that… you know and it’s a struggle within the firm of people that want to change the firm and the partners that are retiring and that don’t want to invest in it. But the scary part is, and the more I work with different firms, they are risking retirement, of being able to retire, because if they don’t make that investment, there’s no one that’s going to want to take their spot because, really, someone can go and just set up technology in the right way, in their own practice, and not have to pay for the expense of trying to change what somebody else has in place. They don’t just pay for customers anymore. They need to make sure that there’s an infrastructure that’s going to take them into the future. Peter: [00:10:09] Exactly. And I think those those– I love the word that you are using because your– question is if you’re really an accountant because–. Amy: [00:10:21] Hahaha. I am half yogi. Haha. Peter: [00:10:21] I hear more can use this term: What’s it going to cost me? But you don’t use the word cost. You use the word: It’s an investment. And I’ve been on this crusade of when you just change that usage of word, it has a whole different meaning – investments is more of an action, or makes you think long term. Cost is something like right now it’s gone and I’m never going to recoup that. Amy: [00:10:48] And investment means your future of retirement. It’s a very scary time for all these people that have worked so hard to build a firm, you know work 60, 70 hours a week in their life, and then you get to retirement, and because you haven’t made that investment to change for the future, you’re looking at what you expected to happen not happening. And so it is a really important thing to take the time right now, and effort. And get the right people involved in the firm that you’re looking at to be the leader next so you know so that you can set them up for success and empower them to really give guidance on what to do next. Peter: [00:11:33] Right. So it looks like that and let’s move into your book because. I think– talking about the book, what we’re saying here, I think it becomes very clear. Now you said you had family members and you start your book off talking about a family member who started their career in accounting. Amy: [00:11:49] Sure. So I actually didn’t know him that well, but he’s actually been kind of guiding light in my life because my grandfather, who died when I was 3, was used as an example a lot as I grew up. So my grandfather was a CPA and a very– I mean you’re talking the profession started in like 1880s. He was you know a CPA in 1935 in Minnesota. So very different time in the accounting profession and his family was a family of immigrants. And so you know many of the stories that I had growing up was about how he was really trying to help other people. Everyone’s trying to get out of their situation. Amy: [00:12:35] And so you know he didn’t necessarily get paid in money. Sometimes it was fur coats from my mom each year, where you know they got tickets to the symphony because he played violin. So it was a very different time as far as… because everybody just had to use what they had to get ahead. So that was really my perspective because that was the stories my mom told me, and she had chosen not to be an accountant and went into art. And I think always felt that she had let her father down or made a mistake. And so you know very early on, by the time I was 12, I was saying I was going to be a CPA, and I didn’t even know what that meant! So… But I what I did know was my mom later on opened her own business that I worked in from a very young age, and I did want to help people like my mom. She would take me to trade show events and and… like Chamber of Commerce, she was involved with construction management companies, because they were maid service. And so I started hearing the stories of all these business owners and really thinking like… you know, originally, I was planning to go work on her business once I graduated college. But her business had closed by the time I got out of college. And so it was really having that in the background between what I had heard about my grandfather, and knowing what small businesses go through and why I wanted to help. Now I didn’t get there right away because I went through the traditional public accounting route, and I was like this is what I was told. Amy: [00:14:31] This is not what I thought. And you know just kind kept you know going through that. But then when I opened my business and saw how much you can help. But it really takes you know – going back to the improv – or creativity as an accountant, to be an advisor. Because you know businesses are asking questions that you know they’re trying to figure out a better way to go about their business and using your financial skills. You’re helping save business. You’re helping them stay in business. You’re helping their families, their employees families. It’s the most rewarding job as an accountant, I believe, when you can get in that role. Peter: [00:15:12] Right. instead of delivering a product and service, you’re deliver an experience, you’re delivering more than that. Call it client relationship, outstanding customer service, outstanding experience. But as a gentleman who is a partner of a firm in Maryland. We were talking and he said yeah I try to provide that experience because – just like you, you started your business for some passion. There’s a reason why. And I want to find out what that emotion is so I can understand them better. And I said Brad, you said emotion, you sure you’re a CPA? Trust me, I almost got out of public accounting and started my own firm because of that. But the firm is worth now they just gravitate on it, and just getting to know that that client a lot better than just a transaction. Amy: [00:16:07] Yeah. And I think that’s where a lot of accounting firms get stuck because they start pricing themselves out. Like oh well this firm is less than me. You know as far as what they charge, or the bookkeeper down the street. But it’s really– to the customer, it has nothing to do with the price. It has to do with the… are they– What are they getting out of the experience? They can get a tax return through anyone that just pushes a tax return through e-mail to them. But is someone actually caring about me and my business and my worries that I have at night, and can actually help me overcome that? And when you become that with your client, there is no one that they would leave you for – because they can’t imagine running their business without you! Peter: [00:17:00] And as you’re describing that I went Oh I remember. I was paying attention at the presentation. You basically call that, in your book, that cherished business advisor. Peter: [00:17:15] Not trusted, which we’ve been talking about in the profession for a long time, the trusted business advisor. But when you describe that. Well when you had that cherish, trust is built in there. Peter: [00:17:28] Yeah. And I think the more that we recognize that we really need to be that cherished business advisor takes– takes the business to a whole new level. Amy: [00:17:40] Yeah, when I was writing the book, it actually took me a while to figure out that term. I searched and searched for the word I was looking for because I was remembering some clients I had that… like for instance, I had a construction client during 2006 in south Florida that was taking a huge hit. Right. Amy: [00:18:03] And I was working as their outsourced controller and then I had a bookkeeper on the account, and I’d meet with them once a month. And her thing about coming to me in the first place was say you know I I was a VP at a large fortune 500 corporation. Now I’m running a small business. But I need to still think like a corporation and I need someone like you and your business. And then when they got hit with with everything that happened, she called me one month and said I only have two hundred dollars. Will you meet with me? And I’m like– that’s the goal. Like $200. It didn’t matter the money, but like 200 dollars to her at that moment was like ten thousand dollars. Peter: [00:18:50] Right. Right. Right. Right. Amy: [00:18:51] So the fact that she was like What can I get as far as your time with that two hundred dollars that will help me survive? And so when I was thinking about that we call ourselves trusted advisers, I looked up the definition of trusted. And that means you’re honest and sincere. And to me that doesn’t describe that relationship because that’s what we should be. We take ethics courses. We have a CPA exam and say we’re going to be ethical. Something about being a CPA represents that. Amy: [00:19:26] And hopefully, any of us that are accountants and have the responsibility that we have to our clients are ethical people. Right. But I don’t feel like that’s something that you should be striving for. You should just be that. What you want to strive for is to be cherished – that your clients can’t imagine not having you as part of their business because you are providing so much value. That the money is not the issue. It’s like you’re an integral part of their business. Peter: [00:20:01] Right. Right exactly. And I love how you just framed that, that that whole piece there. And for those of you who are listening and or watching, take a moment to reflect back on this cherished business advisor – and if you’re not one already, how can you become that? It is not going to happen overnight. Peter: [00:20:21] But if you start taking these little steps every single day, next thing you know you will have evolved into that cherished business advisor. So what was the conversation – because you’re a technology expert as well. I forgot the credential. Amy: [00:20:40] CITP and CGMA. Yeah. Haha. Peter: [00:20:41] Yeah. The CITP. So we’ve been hearing for a long time that technology is going to have an impact on the professor, and all these jobs potentially could go away – which I don’t believe, we’ll just be– we’ll just mold into something new. But what challenges do you see out there, as it relates to technology and the adoption of technology that firms might be dragging their feet on? Going Wait wait wait. I remember the whole thing called IFRS, which turned out to be like the metric system in the US. So until something happens I’m not going to pay attention to it. This is something I need to pay attention now because it is happening. Amy: [00:21:14] Yes. So I think that’s a good comparison because, when we are given a standard or regulation we’re really good at changing, but when we’re given like this is where a future is going but there’s not necessarily a standard or a checklist of how to get there, we drag our feet a bit in this profession. And so that’s really why I read the book. There’s lots of checklists in there and steps to help you along by doing that. But if you think about it, there’s no desktop software out there that’s innovating. You know it’s in the cloud. Like this is where technology companies are spending their money. Amy: [00:21:58] And this is where the future is going. And your clients have an expectation of that as well. And like you, I don’t believe that accounting is going away – the skill set is so important. But we’ve gotten away from our expertise, what we know on the inside, and selling that as a service, versus a paper return, or an audit report. That’s actually not the product. Our advice is always the most important piece of this, is what somebody needs from us. And the problem is, and going back to your example, is firms traditionally have always focused on AMA credit, and that’s– you know whether I do audit or not, or tax, like I have to take that kind of credit. And instead of spending time on the soft skills that we need to have, and like you said it takes time to evolve that, and a different mindset in the accounting practice to teach it. Because too many times when I give this talk, you know when I explain advisory services and and what it is and how to deliver it, many partners will be like my staff can never do that. Well that’s just not true. We have to take time to delegate and we have to take time to trust our staff, and teach them, and not just leave it to well we’ll see if they can fly on a wing and figure it out. Peter: [00:23:26] Right. Right. Next up is a partner who says all my staff can’t do that, just pause for a moment and go well OK. Just let’s take a moment. What if we– what if they could? What would that look like? Somebody just for seriously taught me that. And I love that because – just what would it look like if we could? Start pushing them down that path so they’ll start thinking about it. Peter: [00:24:38] Then how do I bill for their time? Amy: [00:24:41] Hahaha. Exactly. Hahaha. It’s an investment. Peter: [00:24:49] It’s an investment. There’s a friend of mine who’s in a firm, was in a firm in the D.C. area. One of her clients, tax returns was was done, so she said hey how about if I just drop it off? It’s on my way home. Partner said fine. When she dropped it off, she was so surprised that someone came out to visit her. She goes do you want to learn more about my business? And she was in the horse business, and my friend spent three and a half hours going through the barns and understanding what– and came back the next day and shared the story with the partners. What did the partners ask her? Amy: [00:25:29] How did you bill for it? Peter: [00:25:31] Exactly! How did she bill for it? And she said I basically resigned at that point in time. Amy: [00:25:37] Mhm. Yeah. Instead of looking at it– by doing what she did, she probably brought in ten thousand dollars worth of business for the next year, if that had been worked, you know, the right way. Amy: [00:26:10] Someone to confide in. Peter: [00:26:10] Exactly. And so this partner of this firm in Maryland, his name is Brad Hoffman. I asked him once, I said so what do you say when somebody says tell me about your firm? He says I really don’t at first. He says I ask, ‘Well tell me about your business first.’ Then on the side, just what you said. What business owner doesn’t want to tell you about their business? And just from that just from that aspect, he says I’m just listening the whole thing, and then after they’re done I’ll give a twist or turn or tell them about our business. But no I just want to learn more about their business. And he is able to keep and attract more business that way by doing that. Other than saying We’ve got 35 partners with 100 associates, we’ve been in the community since 1800s, we give back and we reinvest in the community. Those are facts and figures and nobody cares! You’re not differentiating yourself but until you can – I always said if I was a member of that firm and somebody said tell me about your firm, I’d say we were in the people business because we really care about the people that work with us and about our clients and their families. By the way, tell me more about yours. Amy: [00:27:18] Yeah yeah. There’s a whole section in this book about sales process, but it talks a lot about the open ended question, and how to practice that, as well if that doesn’t come naturally to you. And you now it’s a really important thing that your friend is doing because when it comes back to talk about his business, he is going to frame it against what the pain points of that client. So when you were talking about you struggle with cash flow, we have a whole team that that’s what they focus on for their small business clients, and they’re able to easily turn around businesses within a year. You know or something– where that’s a better way to explain your business because then it’s like oh I won’t like because I need that, rather than, like you said, just listing off all your service for clients that actually mean nothing. Who knows what write up means? Peter: [00:28:07] I think that’s the other challenge we have in the profession: taking that complex information that’s between our ears and be able to put it in context, so somebody could understand, even within our own profession. Amy: [00:28:22] And speaking in your client’s language. Peter: [00:28:24] And speaking in your client’s language, not the language of accounts. Because as we both know, you say depreciation to a non accountant, that they think that’s a value that they lose in the car when they drive off the new car lot. No no no. It’s a systematic allocation of an asset over time. Aiyooo?! Peter: [00:28:43] So technology. I hear a lot now about AI and block chain. The first time I heard somebody say block chain, I though it was an intestinal disorder. But I found out that it’s not! It’s a big impact into the, into our profession, and I’m I’m seeing more and more states societies and accounting today write about a block chain. Can you, at a 5000 foot level, kind of explain block chain. Amy: [00:29:15] Sure. So I will do my best. But basically, with AI, machine learning, and the evolution of Cloud Accounting, a lot of times these things are looked at in the profession like it’s taking our jobs away. And let me tell you, I talked to businesses from all different professions, and every profession is dealing with disruption right now because of this. Right. Because anything, like accounting, that’s a structured as it is, AI machine learning can enter because that– you know then there’s a structure to program into a system, which is what causes us to step back and retool and create a different experience with our customers. So what artificial intelligence is is basically taking our own business intelligence and trying to program that into a computer so that the computer can start figuring out those things. And the difference is machine learning actually starts learning that intelligence; rather than us programming it in, it learns from what the programming is doing. And then we are– there’s a singular way of looking at machine learning where it might code something for us on an invoice and so forth, where you know because it’s been coded that way a million times, the computer’s picked up that that’s the coding you should use in a transaction. Or when we go into a deep machine learning, it tries to mimic what our brain does. So if you think about all the neural networks in our brain, you know they’re all crossing and interconnected because they start learning from each other. Well that’s the same thing in a computer system once we get to deep learning. So an example of that is if you’ve heard of google translate, it will not only recognize a picture of what that picture is, but then it’s also going to translate that into your language. So it gives you a multiple layer look at and the Machine figuring out different ways to communicate. So that is a disruptor in itself because you know a lot of the data entry work the machines can start doing that isn’t necessarily a value added piece of the engagement. It actually frees up our time so we can spend more time with our clients – it doesn’t bring our value down. What it does is give us the information quicker so that we can start analyzing it. Now with block chain, this has been a disruptor, especially where the AICPA is looking right now, in the audit space, because I think 80 percent of the banks right now have projects in place with block chain. You know you think about it as a chain, but it’s a chain of transactions and that chain can be anything – it can be titles to properties, it can be all sorts of things. But because one piece of the chain interlocks with the next one, it’s harder for fraud to occur because they’re all dependent on each other. So you would have to be able– if you wanted to alter a piece of the chain, you would have to alter everything before i and then what it affected after it, which would be pretty complex in the system. Not to say it couldn’t happen, but the risk of it happening is a lot different. So the AICPA has been really trying to work on the audit side to get exposure up to this because you know eventually, most likely, you know where the audit is going to go is more about cyber security and auditing the actual technology and where the information is filtering from, rather than the transactions because the transactions are most likely correct if the technology is working properly. And so when you have a block chain, basically another way of putting it as this triple entry accounting, is the record is on the block chain. But it’s also in the accounting system of– or system of record, from the supplier and the customer, all at the same time. So it’s all being recorded at the same time, and marked with the same identifier. So that’s my quick and dirty– haha. Peter: [00:33:56] I appreciate that because when I asked Tom Hood a while back, he goes I’m still learning this and I’m still trying to figure it out. And that was about eight months ago. So I love how now… The ability to explain it has gotten a lot better than it was you know less than a year ago. But as you’re talking, you the one thing I’m hearing is OK we’ll get information quicker. We’ll be able to do more. Hey wait a minute. I got a budget for this many hours that we’ve had over the last with this client. So I’m not… I’m going to have to cut the time down? Well that’s going to hurt my revenue stream. Amy: [00:34:36] Exactly. And so that’s where your billing has to change. Just because you got smarter or you put better technology in place to deliver the service that you’re doing doesn’t mean your value was brought down, and there’s no way for each client to duplicate the kind of overhead and investment you’ve had in your business in order to deliver the service that they’re getting from your firm. So it’s important to start looking at what is the value of what you’re delivering beyond the technology, but also the technology itself – but not looking at time as your inventory. Amy: [00:35:18] Because when we start looking at time as your inventory, that limits your opportunity and you’re actually cutting yourself short, in the end. Peter: [00:35:28] That was my biggest shock to the profession – I got into it a little bit later. I entered when I was 30 years old. What do you mean I have to keep time? I think I thought this was– I didn’t know we have a time clock, and then billing on 15 minute increments, and then billing a customer for a phone call was just… people looked at me like I was crazy, while I’m looking at them like I don’t get it. But over time– and one firm showed a story with me that client called him up asking a specific question. Okay thanks. Next they called back asked another specific question, hung up, for three days. And finally somebody, whoever he was talking with said wait a minute, this is weird. Something’s going on. Let me pick up the phone and call the client, and the first question was are you going to bill me for this time?No I’m not. Tell me what’s going on. And that was the point that the client opened up and said the issue at hand, and how can you help me? Amy: [00:36:29] Mhm. And I think you know, exactly what you said, when we bill for every minute, it prevents the conversation from happening – And sometimes we’re just looking at the symptoms of a problem, but not the actual problem; the root of it. And so we take what’s face value just to get the work done, rather than really trying to uncover that. And that’s something I talk in the book, as well, about is the difference between tangible and intangible. And that’s something that really defines an advisor. So we can look at numbers and explain a number away, but when we actually start meeting – like if you’re dealing with a retailer, walking into that store and understanding how it operates. Talking to the retail manager, talking to some of the customers, and really seeing the intangible pieces of the financials and the operations – then you can give real advice back. Like well, what I actually saw was this, and that looks like it’s creating more cost field because they’re duplicating their job three different ways. Peter: [00:37:36] Right. And I had an article published about – I think it was not two years ago in accounting today – that the title was it’s time to get out from behind our desk. Peter: [00:37:46] And basically talking about this issue. You can’t be– you may be the CFO– hopefully it’s the CFO, not the CFnO of the company, but if you’re managing the business from your desk, you’re missing out on a whole lot. You’ve got to get out there and understand all silos of the business in order to be that cherished business advisor to the organization. Amy: [00:38:10] Yes absolutely. And that’s really where the come content because you just said you cared. It’s like going to that horse farm. And there is probably a lot she uncovered there from a financial perspective that could help that client really improve as well, just by being there. Peter: [00:38:28] Yeah but she’s not… She’s no longer there. Amy: [00:38:32] Yeah exactly. All of that was lost. Peter: [00:38:34] All that was lost in a very short sentence. But it goes it goes to the culture. It goes to the attitude, and really that is a lot of being that cherished advisor, that positive mental attitude that that that– you know sometimes we’re just afraid to ask questions, but we need to ask questions in order to understand. But I think the perfectionist of a CPAs – and we don’t like to be wrong – That’s the way we were brought up, especially back and you know as we transition, that I have to say I have to find the answer. I’m not the expert, but no, I said unless you know what a 100 percent verbatim. If there’s any question in your mind, get back to them in 24 hours. Amy: [00:39:19] Right. Well and another you know place that, with talking to staff or management in an accounting firm that I think happens to, is [00:39:29] a culture isn’t creative of innovate– [00:39:31] culture isn’t created for innovation. And so too many times, staffs are set up where they are asked to go figure something out, and because they came back with the wrong answer or failed in coming back the way that they were expected,sSometimes that can be used against them for one year, two years, three years. They can’t break from that one mistake that really was a learning opportunity for them. And so, when we think about the culture in an accounting practice, we have to make sure there’s a culture open for people to have those mistakes. Because that is the only way you learn. And if you’re telling everybody and micro-managing them on the answer, they’re never going to learn as well. You need them to get through that process and go Well this is how I got that answer or so that you understand how they think. And go well next time you go through this, these are the two things you should change in your decision making process. Peter: [00:41:49] Everybody laughed. I panicked for a brief moment. Peter: [00:41:53] I wasn’t expecting that. But I said you know if you believe with bad ideas are bridges to good ideas. So I just took a deep breath and I said I’ll tell you what. Let’s take murder off the table. In short story, I said instead of killing them, why don’t we identify them and poach them? Let’s try to steal them. Let’s offer them more money, let’s offer them a bonus. Maybe we can attract them that way to help, and stay out of jail at the same time. Peter: [00:42:18] I don’t know this answer, but would we have gotten there without that guy taking me, literally, and coming up with a really bad idea. Peter: [00:42:27] But we were able to turn it into something usable. Peter: [00:42:31] So when we when people– when an accountant is given ideas, [00:42:34] and [long pause] [00:42:35] I said if you ever do a creativity session, the managing partner and the partner who’s leading it – if they’re leading, they’re the ones needs need throughout the craziest, stupidest idea that they have, which will loosen up the rest of the culture. If not, it’s going to just fall flat on its face and go back to basically what you describe. Amy: [00:42:53] Yeah I agree. Absolutely. Peter: [00:42:55] Kill our competition’s sales people. Woo! Peter: [00:42:59] So as we wrap up, you’ve mentioned a lot about you know helping small businesses. But you failed to inform us you have [00:43:08] two small– You [00:43:09] have two businesses. You’re speaking business, and– I don’t know when you find free time. But would you tell my audience what else you do? Amy: [00:43:17] I own a yoga studio. Peter: [00:43:20] She owns a yoga studio. In? Peter: [00:43:25] It’s in Cincinnati..
Peter: [00:43:41] Ok so. Can I ask you to give a name? Amy: [00:43:47] Oh Yeah. Drishtiq Yoga. Peter: [00:43:47] Say that again? Say that again? Amy: [00:43:50] Drishtiq. So I made up the word. Drishti is your gaze in yoga, so staying focused beyond yourself. And it helps you stay in balance. So I added the q to the end so it’s never ending. Peter: [00:44:13] Nice! And you had a group of what about a little over a hundred people at the conference — no, it was Michelle who started it. Amy: [00:44:23] With the yoga. Yeah. Haha. Peter: [00:44:23] With everyone balnace… she said everybody kind of squat, and I heard knees pop all over that room. And I assume you have a website. Amy: [00:44:33] Yeah. My Website is amyvetter.com. I also have drishtiqyoga.com if you’re interested in virtual yoga and not in Cincinnati. But yeah. So I do sessions around the country that help accounting practices do this. I also have a second book that really integrates my Yoga and business life called Business, Balance, and Bliss, and I do a topic about how to create work life harmony so that you can be more real at work, set these boundaries, take advantage of the technology put in place so you don’t always have to get more clients. It can be that you find your creative outlet, your hobby, so that you feel more complete, as a person, and you are better with the people at work and at home. Peter: [00:45:21] Cool. Before I let you go, because those who are going to be watching us on Youtube are going to see, in the left corner of the screen, a music stand, and it looks like it might be a guitar back there. Amy: [00:45:34] Yeah. I play bass guitar so. Peter: [00:45:36] Oh that’s what you do. You want to play something for the audience? Amy: [00:45:43] Oh no no. Hahaha. Peter: [00:45:43] I don’t know how you find time but that that is awesome. Amy: [00:45:47] That’s all in my work life harmony book! Amy: [00:45:53] Well that’s funny. You can have an appreciation and love for music. Peter: [00:45:58] Yes. I use the guitar, if I’m stuck in my head and I need something creative, I just start strumming. I’m going to teach myself one day how to play. Amy: [00:46:07] YouTube is your friend. Peter: [00:46:09] It is. Very much so. Peter: [00:46:12] So Amy, I just want to thank you very much for taking time and sharing this information with my audience. I will have the Web sites for both the businesses in the show notes. I look forward to our paths crossing again very soon, and I wish you all the best luck in the world. Amy: [00:46:30] Thank you very much for having me on. It’s been fun. Peter: [00:46:32] It’s been a lot of fun. I would like to thank Amy again for sharing with us her thoughts on how CPA firms can become more future ready. I highly recommend you reading her book and applying her advice to your firm. There there’s a link in the episode show notes to her book on Amazon.com. 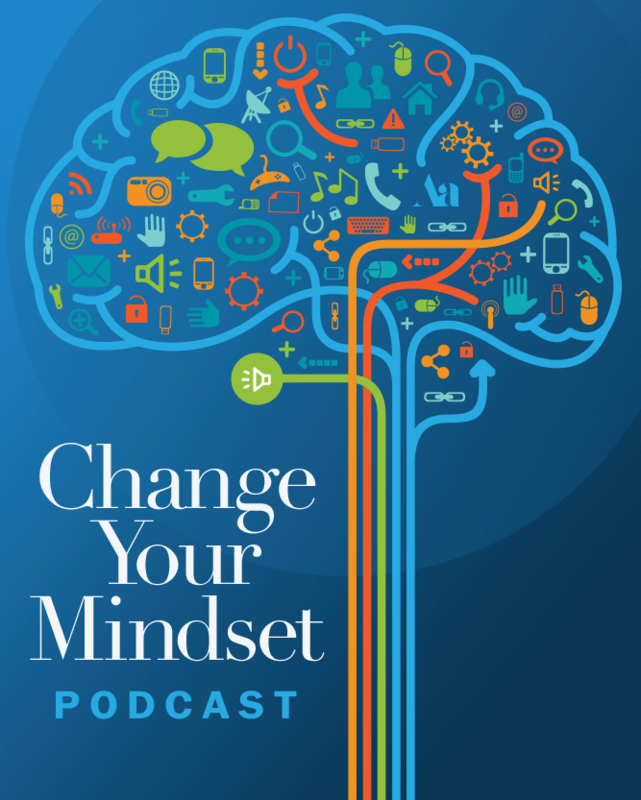 In episode 2, my guests are Michelle Sopp with the Georgia society of CPAs, Jennifer Oleska with the Georgia society of CPAs, and Brett Johnson and Chris Fleck of the AICPA, and we discussed the major takeaways from the 2018 national CPE educators conference. Thank you again for listening, and begin the process of changing your mindset and getting out of your comfort zone. Because when you do, that’s where the magic happens. Remember this is a process that requires daily application, with a big dose of applied improvisation. Have a great day.